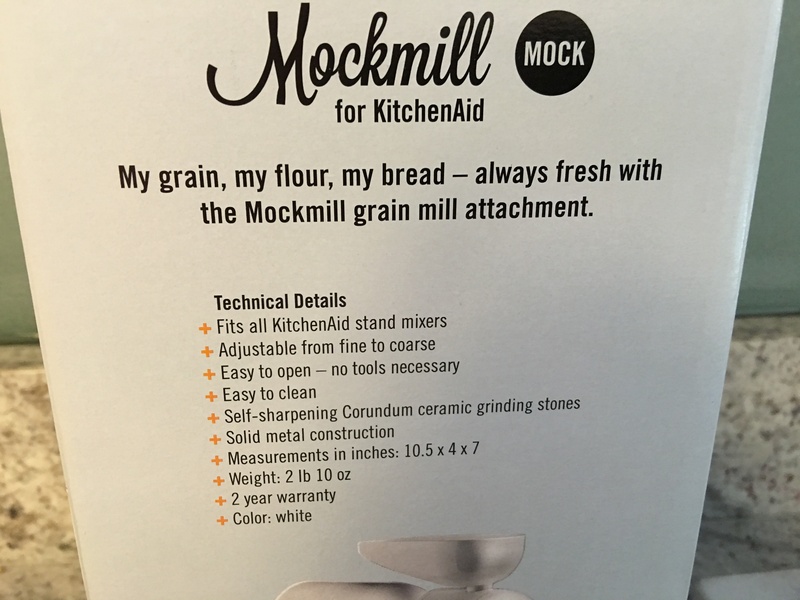 Today I am making bread from scratch using the Mockmill Grain Mill. (If you buy one make sure you use the code: foodhuntress to get the discount.) 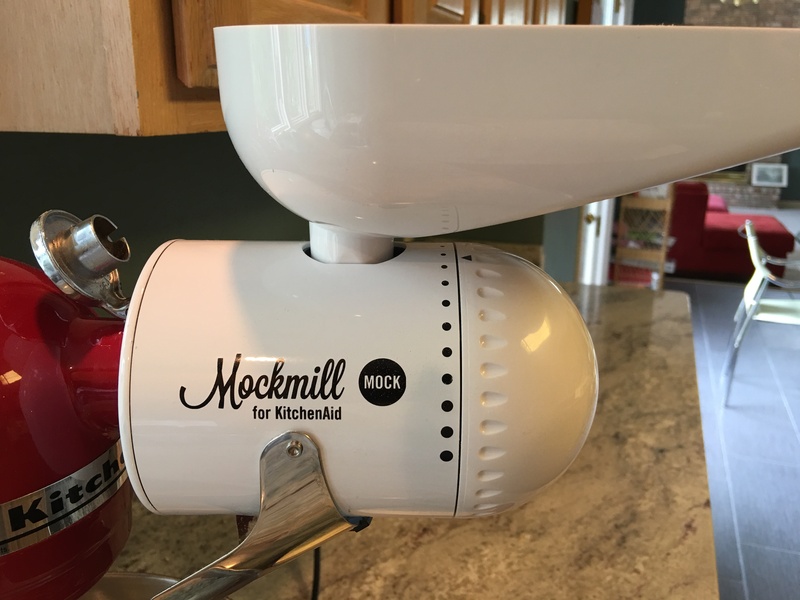 The Mockmill Grain Mill works perfectly as an attachment to your Kitchen Aid mixer. It turns your Kitchen Aid mixer into a household flour mill. 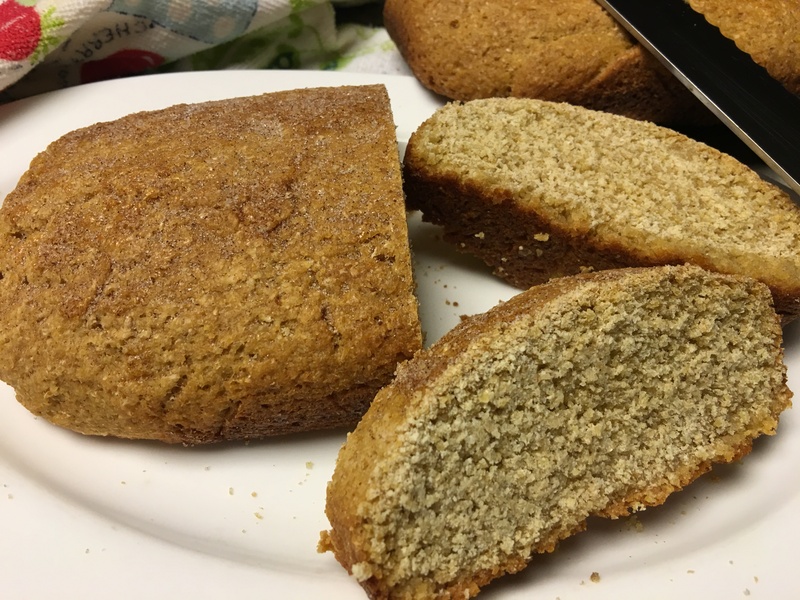 You can bake using a healthier fresh ground flour whenever you want to make bread. 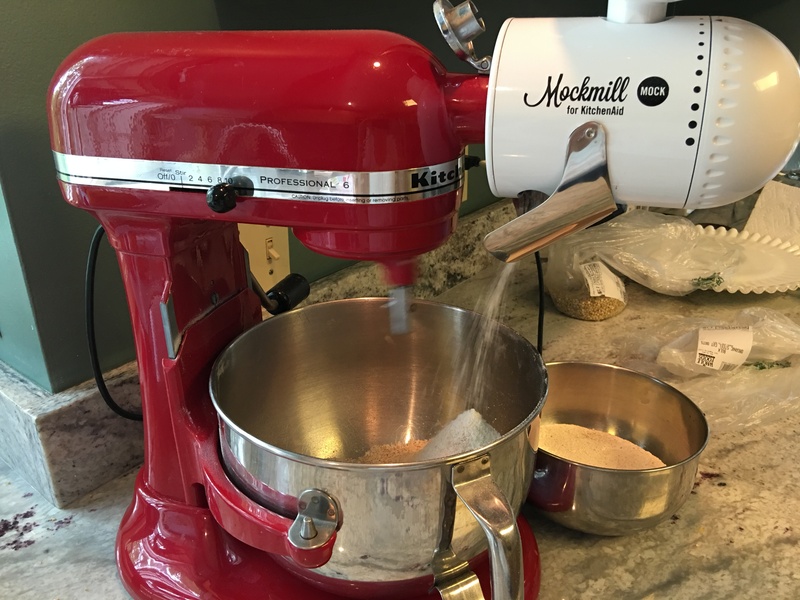 I found it easy to unscrew the bolt on the side of my Kitchen Aid mixer and place the Mockmill grain mill in the hole and replace the bolt with the new bolt that comes with the Mockmill grain mill. There are 2 things you can adjust when using the Mill. One is the speed of your mixer and it is best to use the top speeds of 9 or 10. The mixer is noisy but the grinder is not. Second, adjust the size of the grain by turning the front of your Mockmill to the various sizes. I personally like a finer grind for most grains. Disclosure: I received the Mockmill for free so that I could use it and let you know my thoughts. My thoughts are my own and haven’t been influenced by Mockmill and my thoughts are never for sale. Making bread from scratch can be such a treat for you and your family. Would you like to go back to the old days of making fresh bread and know you are using organic whole grains that you personally are grinding? Adjust the size of the grind by turning the top of the mill. Do not grind peanuts or coffee beans, or anything that has oil in it that would gum up the works. During the month of August 2016, you can buy a Mockmill grain mill, plus six pounds of grain, plus a book called Flour Power for just $179.00. You will be saving $80.00 over the regular price but you have to use the Coupon Code foodhuntress at checkout. It is a regular $260.00 package for just $179.00. This special Mockmill promotional package and price is only good through 8/31/2016 so hurry! Look for more to come. Can’t wait to make pancakes out of buckwheat!